Please note: This is a list of our special veteran guests as of 2/7/2018. We ask everyone attending the show to understand that their plans are subject to change without notice. ​For conspicuous gallantry and intrepidity in action at the risk of his life above and beyond the call of duty. Staff Sergeant Jenkins (then Private First Class. ), Alpha Company, distinguished himself while serving as a machine gunner on a reconnaissance mission. When his company came under heavy crossfire from an enemy complex, Staff Sergeant Jenkins unhesitatingly maneuvered forward to a perilously exposed position and began placing suppressive fire on the enemy. When his own machine gun jammed, he immediately obtained a rifle and continued to fire into the enemy bunkers until his machine gun was made operative by his assistant. He exposed himself to extremely heavy fire when he repeatedly both ran and crawled across open terrain to obtain resupplies of ammunition until he had exhausted all that was available for his machine gun. Displaying tremendous presence of mind, he then armed himself with 2 antitank weapons and, by himself, maneuvered through the hostile fusillade to within 20 meters of an enemy bunker to destroy that position. After moving back to the friendly defensive perimeter long enough to secure yet another weapon, a grenade launcher, Staff Sergeant Jenkins moved forward to a position providing no protection and resumed placing accurate fire on the enemy until his ammunition was again exhausted. During this time he was seriously wounded by shrapnel. Undaunted and displaying great courage, he moved forward 100 meters to aid a friendly element that was pinned down only a few meters from the enemy. This he did with complete disregard for his own wound and despite having been advised that several previous rescue attempts had failed at the cost of the life of 1 and the wounding of others. Ignoring the continuing intense fire and his painful wounds, and hindered by darkness, he made 3 trips to the beleaguered unit, each time pulling a wounded comrade back to safety. Staff Sergeant Jenkins' extraordinary valor, dedication, and indomitable spirit inspired his fellow soldiers to repulse the determined enemy attack and ultimately to defeat the larger force. Staff Sergeant Jenkins risk of his life reflect great credit upon himself, his unit, and the U.S. Army. Lieutenant Colonel Richard Cole was co-pilot to Lt Col Jimmy Doolittle on the legendary Doolittle Tokyo Raid on Japan, Apr. 18, 1942. He bailed out over China at night during a rainstorm after his plane ran out of fuel. The Chinese rescued him and several other Raiders. After the raid, he remained in China-Burma-India Theater and flew supply missions over the “Hump.” His decorations include the Distinguished Flying Cross with two Oak Leaf Clusters, the Air Medal with one Oak Leaf Cluster, the Bronze Star, the Air Force Commendation Medal, and the Chinese Army, Navy, Air Corps Medal. Lieutenant Colonel Cole retired from the United States Air Force in 1967 after 27 years of distinguished military service. the objective; Red Beach 1 at the foot of Mt. Suribachi. Sailing under heavy fire, Baize’s boat was within 20 yards of the beach when it suffered a direct hit from Japanese artillery. Jim found himself in the water floating amid bodies, blood and wreckage. Dazed but alive, he was pulled to shore by a Marine he would know only as “Jack.” Jack handed him an M1 rifle, helmet, knife, poncho, jacket and some hardtack, all collected from dead comrades. It had taken Jim eight weeks to become a sailor. He became a Marine in an hour. For the next seven days Seaman Baize fought as an infantryman with the Marines, inching forward under unimaginable, hellish conditions. On the morning of February 23rd, he witnessed the first American flag raised on Mt. Suribachi. A little while later he also saw the more famous second raising of a larger flag which is known from the iconic photograph. On the evening of the 26th, Jim was part of a group of Marines ordered to take the Number 1 airfield at Motoyama. The unit came under heavy machine gun fire and his buddy Jack was killed. Jim jumped into a shell hole and was knocked unconscious. He had no memory of leaving Iwo Jima and woke up in hospital. His recovery took six months. He was the only survivor of the crew and men of LCVP 13. After the war, Jim took advantage of the GI Bill and received degrees in mechanical and nuclear engineering. operation of air mobile troops into Landing Zone X-Ray in Vietnam’s Battle of Ia Drang. George Smilanich was born and raised in the small northern Minnesota town of Buhl. on to win the MN State High School Basketball Championship in both 1941 and 1942! and track, and raise his family. In 2013, Sony Pictures reached out for consultants on the movie FURY and flew George and Toodie to Los Angeles. George was one of four veterans that met with Brad Pitt, Shia LaBeouf, Jon Bernthal, Michael Pena, Logan Lerman, and David Ayer to provide insight to life in a tank. In October of 2014 George and Toodie were also flown to Washington, DC, for the red carpet premiere of FURY. Bradford Freeman was born and raised in the lush Mississippi farmlands of Lowndes County, near Columbus. He was one of 8 children, 3 of whom fought in the war. After high school graduation he enrolled in Mississippi State University, which he attended for one semester before enlisting in the US Army on December 12, 1942. He joined the paratroopers, following in the footsteps of his older brother, who became an officer in the 11th Airborne. Freeman was assigned to the 506th PIR,101st Airborne at Alderbourne, England in February 1944. There, he trained under the watchful eye of mortar squad leader Don Malarkey and platoon leader Bill Guarnere, both of whom he describes as great fighting men. On D-Day Freeman parachuted into Normandy in Malarkey’s stick, forming up and fighting with Sgt. Chuck Grant until they joined the company near Brecourt Manor. Freeman vividly remembers the fierce fighting at Carentan, where he feels E-Company came together as a combat unit. Freeman participated in the invasion of Holland, and recalls endless patrols and scary night outpost duty on the banks of the Rhine. Following Market Garden Freeman survived the brutal weather and constant shelling in the Bois Jacques woods at Bastogne only to be wounded by a screaming mimi (Nebelwerfer rocket) in Easy Company,s attack on Foy. 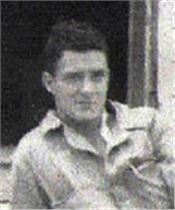 Following release from a hospital in England, Freeman joined up with HQ Staff in Berchtesgaden in April 1945, and later with his E-Company comrades in Kaprun, Austria. After the war Brad Freeman went back to Mississippi State University for a semester, and then returned to help run a 197 acre family farm in Lowndes County. He later worked with the US Postal Service, retiring after 32 years of service. 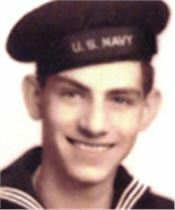 Don Jakeway entered the United States Army on November 28, 1942. He took his initial basic training at Camp Toccoa, Georgia with additional extended training in demolitions at Camp Blanding, Florida. The total was thirteen weeks. His unit went through jump school at Fort Benning, Georgia. This training included five qualifying jumps - enough to earn the coveted paratrooper wings. More training was done at Camp Mackall, North Carolina prior to transferring to Camp Shanks, New York in preparation for shipment overseas. The eleven-day crossing of the Atlantic began on December 23, 1943. The ship arrived in Belfast, Northern Ireland where the unit would stay until it was shipped to Knottingham, England in March 1944. Once in Knottingham final training preparations for the D-Day jump began. Don Jakeway jumped into Normandy on June 6, 1944 landing near Chef–du-Pont outside of St. Mere Eglise. On July 4th, “H” Company lost several men in an attack across an open field in the Carentan Peninsula. The 508th PIR fought in the Normandy campaign until July 13th it was pulled back to England. 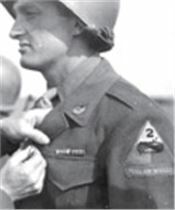 While in England, more training ensued until September 17, 1944 when the 82nd Airborne Division jumped into Holland in the leading elements of “Operation Market Garden.” Five days into the Holland operation Don Jakeway was severely wounded (near the town of Beek) by artillery shrapnel. He received wounds in the face, head and back requiring his evacuation. He was hospitalized for an extended period, recovering barely in time to be returned to duty as the “Battle of the Bulge” began in mid December 1944. The 82nd Airborne was sent to the town of Werbomont where it was to shield against a German attack. On January 31, 1945 during the closing days of the Ardennes Offensive Don was shot through the lung by a German sniper. He was carried to an aid station, by two German prisoners and loaded into an ambulance for the trip to the division hospital at Leige. During the trip, the driver lost control and the ambulance rolled over and over down the side of a mountain landing upside down in a river. Everyone was killed except Jakeway. He was rescued when American soldiers spotted the wreckage in the river. Don recovered and was released on August 25, 1945, from Memphis General Hospital. This ended his active participation in the war. After the war, he married, had four children and had a career in international sales. Don has always taken an active interest in local community affairs around Johnstown, Ohio. MSgt Wes Fields is a 24 year decorated combat veteran in the United States Air Force as an Aerial Gunner on the AC-130H Spectre Gunship assigned to the United States Air Force Special Operations Command. He participated in numerous special operation missions throughout the world. These missions include supporting the emergency evacuation of a United States Embassy in Somalia, supporting the United States Marines on the ground by providing suppression fire during the first attack by Iraqi forces against collation forces during the Gulf War of 1991, and destroying targets during the largest air campaign in North Atlantic Treaty Organization’s (NATO) history. During Operation “Eastern Exit” on January 1, 1991, the United States Ambassador to Somalia requested military assistance to evacuate the Embassy. Americans and other foreign nationals had sought shelter in the Embassy compound. Sergeant Fields and crew provided fire support and intelligent to other special operation teams bringing the operation to a successful conclusion. During Operation “Desert Storm” in 1991, while flying a combat mission over southern Kuwait and northern Saudi Arabia, Sergeant Fields and crew provided critical nighttime air support to counter the first Iraqi offensive against coalition forces. They attacked and destroyed an Iraqi border post, command and control center, and numerous fuel trucks while dodging heavy antiaircraft artillery fire. During Operation “Deliberate Force” in Bosnia-Herzegovina during the Bosnian War in 1995, Sergeant Fields and crew suppressed enemy air defenses and seriously damaged all targets assigned near the city of Sarajevo. This operation was the North Atlantic Treaty Organization (NATO) biggest combat undertaking since it was founded in 1949 and the largest air operation in Europe since World War II. Sergeant Fields also served 3 years as an Aircraft Armament System Specialist loading munitions on the F-111A and F-16 A/B/C/D fighter aircrafts. Master Sergeant Fields has earned 62 awards and decorations including the Meritorious Service Medal, 4 Air Medals, 4 Aerial Achievement Medals, and 7 Combat Readiness Medals. Guy Whidden was born in Wyncote, PA (near Philadelphia) to Rendol and Myrtle Whidden. He served as a paratrooper in HQ Company, 502nd Parachute Infantry Regiment, 101st Airborne Division in World War 2. Guy was a machine gunner and jumped into Normandy in the early hours of June 6, 1944. He also jumped into Holland during operation Market Garden in September, 1944. During a mortar attack near Best, he was severely wounded and three of his best friends were killed. Guy was still recovering in a hospital during the Battle of the Bulge. After his recovery, he was sent back to Fort Benning, becoming a jump school instructor. Guy has written a book about his WWII experiences titled: “Between the Lines and Beyond.” This book recounts his time served in World War II through letters written home to his mother. As the title suggests, Guy’s censored letters often forced his family to read “between the lines” to figure out the many subtle messages he was sending. Through these letters and Guy’s narrative, we relive many of his experiences: Army training and the voyage to England on the S.S. Strathnaver; his historic jumps into Normandy on D-Day and into Holland during Operation Market Garden; and being seriously wounded by a German mortar shell that killed three of his friends...nearly causing his own leg to be amputated. These letters show the progression of a young man as he grew in maturity and the resilience of the true and honorable soldier that emerged. This book gives a realistic and yet lighthearted look at what Guy went through during that period of his life so many years ago. But it does not stop there. Guy is still busy! An epilogue relates his activities since WWII including his “re-jump” into Normandy in 1994. James T. Lawrence was a 1st Lieutenant and Executive officer of Delta Company, at the very front of the column of the 2nd Battalion 7th Cavalry, 1st Cavalry Division (Airmobile) at the battles of Landing Zones X-ray and Albany, Ia Drang Valley on November 14-17 1965. On November 17 the 2nd Battalion of the 7th suffered 155 Americans killed and another 134 wounded, more one day casualties than any unit in the Vietnam War. This operation was a part of the larger Battle of Ia Drang, which has been depicted in the book, “We Were Soldiers Once … And Young,” by Harold G. Moore and Joseph Galloway, as well as the film, “We Were Soldiers,” starring Mel Gibson. Following a hospital stay for wounds in action on the 17th Lawrence returned to the battalion in time for Operation Masher White Wing in February before his active duty time was up. After attending graduate school and obtaining an MA in English, Lawrence went into real estate in Alabama. He was a founder of LAH real estate. In 2011 he sold his interest in the firm and is now the Education Director for the Alabama Center for Real Estate for the University of Alabama in Tuscaloosa. He is named one of Birmingham’s 100 Most Influential People. James Lawrence is the author of “Reflections on LZ Albany: The Agony of Vietnam” in which he documents his Vietnam experience in a series of thoughtful essays of men faceing death and includes his personal observations of the wounds of war. formal presentation in the White House on October 23, 2017.) Meyer’s website is: www.sogchronicles.com. He is a graduate of Trenton State College, with a BA in Political Science and a minor in journalism. He is married, has five children and lives in Oceanside, CA. he married, attended college, and entered the Seminary, becoming a Lutheran Pastor. of which he is a past-President. Bud Alley grew up in Greenville, South Carolina, and graduated with an ROTC commission in June, 1964. He was assigned to the Infantry as part of an experimental program called the U2. This meant he was sent directly to a unit without going to the Officer Basic course. 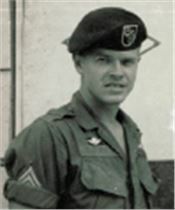 In the winter of 1965, he was selected to attend the Combat Communication Officer’s school in Ft. Sill, Oklahoma, as a Second Lt. This normally was a Senior Captain’s job. Shortly after his return from Ft. Sill, he found himself part of the newly minted First Cavalry Division Airmobile assigned to the Second Battalion Seventh Cavalry. General George Custer’s old unit. On August 17, they deployed by ship to Vietnam, landing 30 days later in Qhi Nhon. Sixty days later, the Second of the Seventh Cavalry was in action in the central highlands of Vietnam in a valley called the Ia Drang. The first major encounter of the ten year war beginning at Landing Zone X-ray and its subsequent disastrous battle beside the Ia Drang River called the Battle of LZ Albany. The Albany battle was the bloodiest day of the war and the Second Battalion lost 155 men that day and had 134 wounded—the most Purple Hearts awarded to one unit for one day’s action in the entire war. After a seven week stint in the hospital, he returned to the unit in time for its next big operation: Masher White Wing, on the coast of Vietnam where they again encountered large losses. During that operation, he spent four days fighting with the VN 1st Airborne Battalion advised by Captain Pete Dawkins. 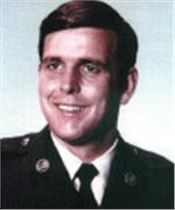 He continued to serve a complete 12-month tour participating in every operation of the battalion, and returning to Greenville on 1 August 1966 where he married Caroline Davis, his fiancée who waited for him. 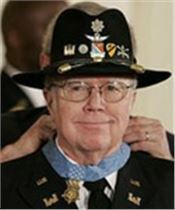 His awards include the Combat Infantryman’s Badge, the Silver Star, the Bronze Star, Purple Heart, Air Medal and others. He retired from the packaging industry and holds Master’s Degrees in Business and in History. 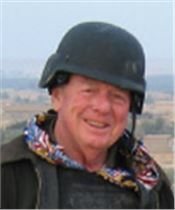 In 2015, he released his book about those first five months in Custer’s old unit in 1965, “The Ghosts of the Green Grass” at Fort Benning, Georgia.